In my last posting, I mentioned using cinnamon in a savory manner. So here we are…. In centuries past, like a lot of spices, cinnamon was traded by the Arabs (remember the infamous spice route?). 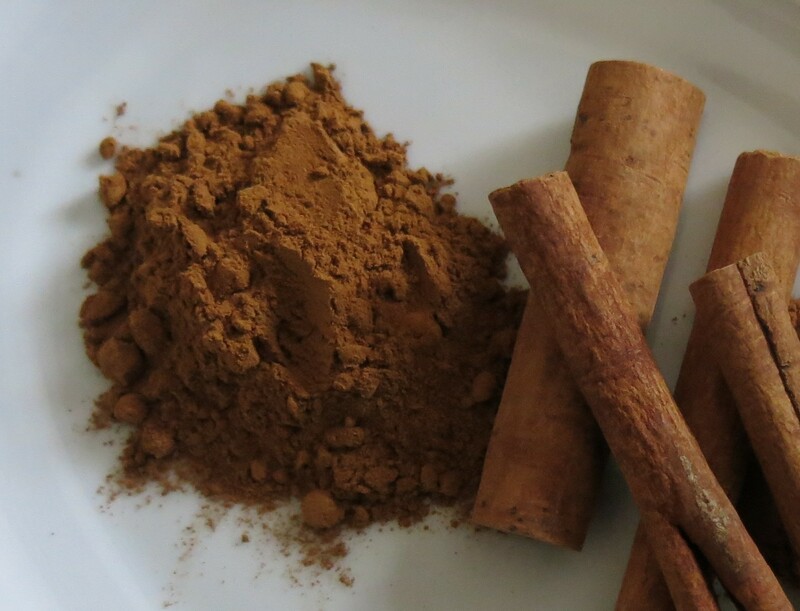 The Moors were in the Iberian peninsula for over 700 years, bringing with them many flavors and products previously unknown to that part of the world, cinnamon being one of them. There is lore that in order to keep the price of cinnamon high, the Arabs deliberately kept its source a secret. Apparently they invented stories that cinnamon was dredged up in nets at the edge of the world (you remember that the earth was thought to be flat, right?). I think there was another story that cinnamon was harvested by ginormous birds in some unknown land and used to make their nests. It was a simpler time then…people were less enlightened than they are today. Oh wait, there is no global warming, right? This blend is reminiscent of the lovely chile-based Mexican mole (pronounced “MOH-lay”) sauces. It is particularly delectable on all-things-pork, but it has its way with chicken, lamb, venison, and salmon, too. Using frozen orange juice concentrate, mixed 1:1 with lime juice, is a great “glue” to help the rub stick and give a spark to make the flavors pop. But it tastes great without the “glue”, too. One more thought, don’t forget about ground pork. It makes a great burger, but you will need to cook it to an internal temperature of 160F degrees. Use 2-3 teaspoons of the rub and 3/4 teaspoon kosher salt/pound of meat/seafood. Store in an air tight jar; use within 6 months, but it won’t last that long! COOKS NOTE: For a great tartar-type sauce, mix a couple of tablespoons of Grade B maple syrup into 3/4 cup mayonnaise with just a smidge of Dijon mustard. This is a nice combination of flavors to use with salmon or scallops. 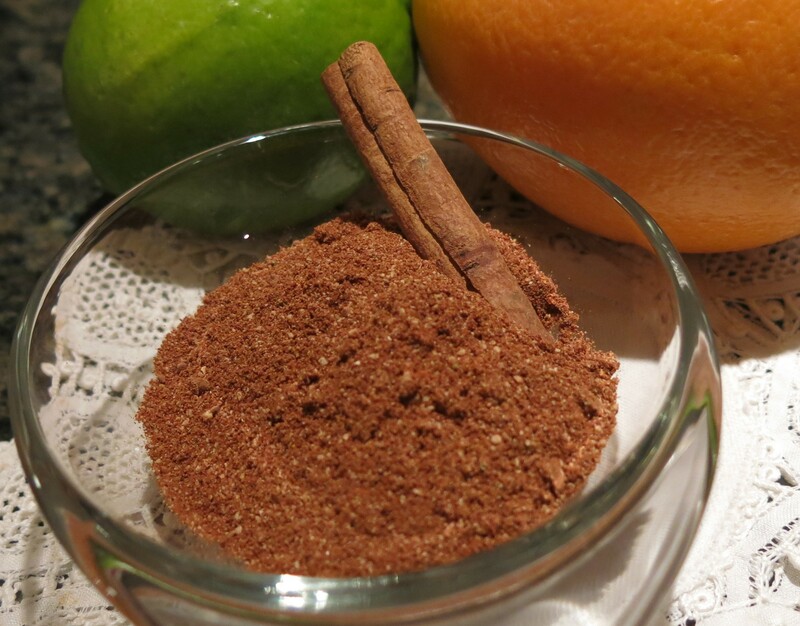 Yankee Mole Rub Recipe©Marcia Lahens 2014. All rights reserved. A note about Mexican oregano…get some. It has your basic herbaceous quality, but with a lovely floral, spicy hint and earthy overtones. It is much more complex, particularly in foods that lean Mexican, than the usual Mediterranean oregano. It’s just really, really good. In the last 10-15 years, dry rubs have become incredibly popular. Understandably so, as they add such complexity and depth of flavor to foods. Much like this rub, they work wonders with pork, chicken, venison and lamb. Personally, I tend to leave beef as is, with little more than salt and pepper, and perhaps a hint of garlic. But The Spice Mill has a great Ancho-Coffee Rub, that really plays up the umami quality of beef (as well as a myriad of other dry rubs). It enhances a burger, either beef or pork. You can get all the other spices listed above there, too.